Again the Central Park Zoo is a great place to take pictures. This day I was trying out a small diffuser that fits over the pop up flash on your camera. Most of the glass in this tank is simply too dirty to shoot through on the bottom where most of the action is, and most of the shots suffered because of it. 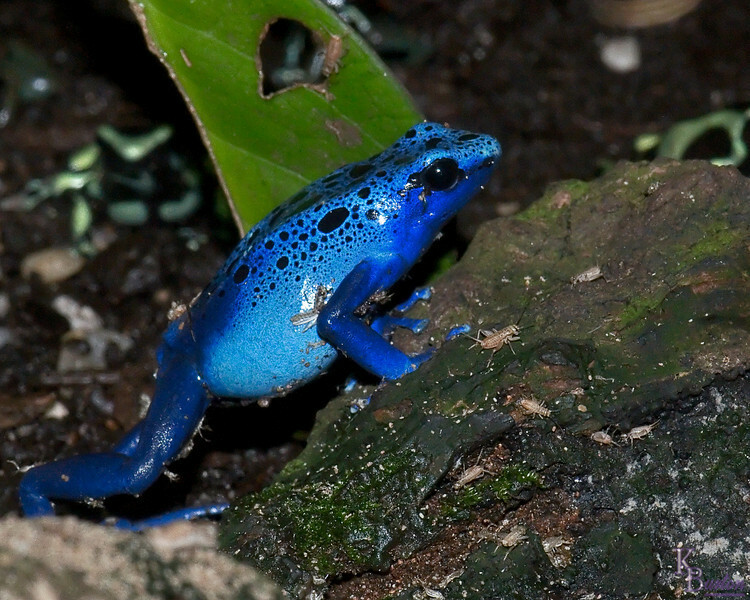 Then months later as I sifted through my many un-edited photo's, this lone clear shot of this blue poison dart frog surprised me. This is a fantastic shot, the frog looks like a character from Avatar, brilliant! Very nice shot! These little frogs are so difficult to capture well because of the glass. This one is super!! !